Visitation or even custody cannot be denied because child support hasn’t been paid or is behind. If you are not being allowed to have or even see your child, you need a lawyer to seek visitation or custody. The other parent will probably then seek a specific amount of child support from you. You know that your kids come first but the other parent doesn’t seem to play by the same rules. Your child should not be exposed to drugs, alcoholism, other addictive behavior, sexually inappropriate behavior, violence, mental illness and should not be denied the necessities of life: housing, food, clothing, an education or medical care. Visitation and custody will be based on the best interest of the child including moral fitness, encouraging a good relationship with the other parent, financial fitness, mental and physical health, religious upbringing, who has taken care of the child up to this point, the child’s preference, the distance between where the parents live, the history of where the child has lived and gone to school, the attachments the child has developed to half-sisters and brothers and grandparents. 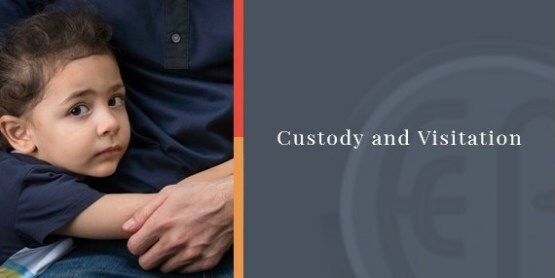 If there is no Judgment of custody from a court, it is not kidnapping for either parent to have the child and the police will not force either parent to give the child back or give the child to you for visitation. You will need a private attorney. If custody and visitation have already been established, and either you or the other parent is moving out-of-state or more than 75 miles away, the current arrangement is just not going to work. Whether you are the parent staying or leaving, there are procedures that need to be taken if either parent is attempting to relocate the children. If those steps are not followed, it could result in the custodial parent losing custody. 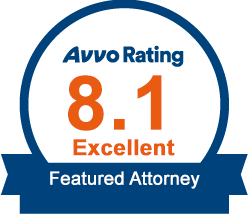 You need an experienced attorney to take you through those steps. Sometimes parents are not able to take care of children due to mental illness, substance abuse, incarceration, lack of moral fitness, death, or disability. Grandparents, aunts and uncles may have to step in to seek custody. Louisiana law allows you to seek custody of your grandchildren, nephews and nieces. Parents in the military have unique issues of child support, custody and visitation. Deployment may necessitate at least a temporary change in custody. Judges may not be familiar with the Service Members Civil Relief Act. Your family is entitled to visitation in your absence if you ask the court for it before you are deployed. You need an attorney familiar with representing parents in military service. The attorneys at Ellen Cronin Badeaux, LLC, at 985-892-1955, have 23 years of experience representing fathers, mothers, grandparents, aunts and uncles seeking custody or visitation in the cities of Amite, Baton Rouge, Bogalusa, Chalmette, Clinton, Covington, Denham Springs, Donaldsonville, Franklinton, Gonzales, Greensburg, Gretna, Hammond, Kenner, Livingston, Madisonville, Mandeville, Metairie, New Orleans, St. Francisville and Slidell in Ascension, East Baton Rouge, East Feliciana, Jefferson, Livingston, Orleans, St. Bernard, St. Helena, St. Tammany, Tangipahoa, West Feliciana and Washington Parishes.